Or dealers may be adding fentanyl to cocaine, meth and counterfeit medication on purpose, in an effort to expand their clientele of users hooked on fentanyl. 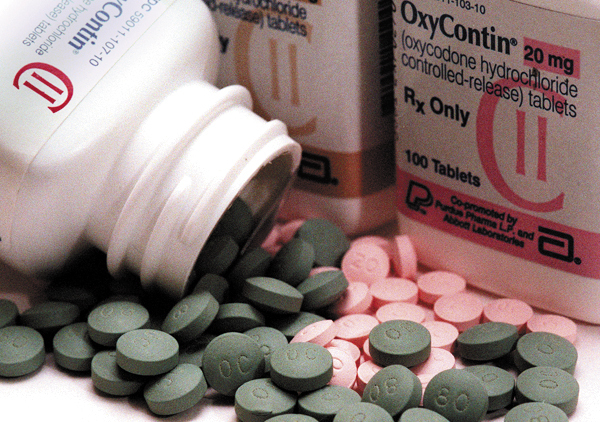 The misuse of prescription opioids is a complex phenomenon. Recent research has found that non-medical opioid use almost always involves a variety of other substances -- not just exposure in the course of routine medical care. The risks of non-medical prescription opioid use developing into addiction need to be better understood to develop more effective measures to prevent misuse and to ensure that patients who use opioids responsibly are not wrongly targeted. A new study in The American Journal on Addictions looked closely at the 2016 National Survey on Drug Use and Health, which found that that about 2.5% of respondents had misused prescription opioids in the previous 30 days. Almost half (43.9%) obtained opioid analgesics from a friend or relative for free and most were using other substances, such as cigarettes, alcohol, marijuana or street drugs. “So much of the public discussion focuses on the opioid epidemic as though it is happening in a vacuum when, in fact, so many people misusing prescription opioids are also engaging in other substance use,” says lead author Timothy Grigsby, PhD, an assistant professor at The University of Texas at San Antonio. Grigsby and his colleagues found that prescription opioid and polydrug users were also more likely to engage in stealing, selling drugs, have suicidal thoughts, suffer from major depression and need substance use treatment. A similar study recently published in the journal Pediatrics examined non-medical prescription opioid use by parents and teenagers. The study found that parental misuse of opioid analgesics was associated with teenagers doing the same, with mothers’ use having a stronger association than fathers’ use. Parental smoking, low parental monitoring and parent-adolescent conflict were also associated with teenage prescription opioid misuse, as were adolescent smoking, marijuana use, depression, delinquency and schoolmates’ drug use. Despite what you may have heard, non-medical prescription opioid use does not usually lead to heroin. The National Institute on Drug Abuse reports that only 4 to 6 percent of people who misuse prescription opioids transition to heroin. But trends in this transition have been shifting. A new study in PLOS One found that people who injected illicit drugs who were born after 1980 were more likely to initiate drug use with prescription opioids and non-opioids, and had higher levels of polydrug use. This study was limited to Baltimore, but similar findings have been reported for other parts of the U.S. Importantly, most non-medical prescription opioid use occurs in the context of more general substance use. U.S. News recently reported that most patients treated in emergency rooms for misuse of prescription medications get into trouble because they mixed different substances. "Most of the time there may have been only one pharmaceutical involved, but there were other non-pharmaceutical substances or psychoactive drugs or alcohol involved as well. When people get into trouble with misusing medicines, they're usually taking more than one substance," Dr. Andrew Geller of the CDC told U.S. News. This is a long-standing trend in the opioid crisis. The 2014 Overdose Fatality Report in Kentucky found that the top five drugs in drug-related deaths were morphine, cannabis, heroin, alcohol and alprazolam (Xanax), with more than one drug present in many overdoses. Moreover, a new study in the Journal of Substance Abuse Treatment compared 2013 and 2017 data on patients seeking opioid addiction treatment. Researchers found that many patients had employment, psychiatric, alcohol and drug problems, and were more likely to have depression, anxiety, hallucinations and suicidal thoughts. In other words, the overdose crisis is far more complex and dangerous than just opioids alone. Fortunately, these long-standing trends are now starting to be appreciated. Public and private health officials in Ohio have started looking at data from multiple sources to better address mental health and substance abuse. The overdose crisis is a fast-moving target that is rapidly evolving. Overdoses now more than ever involve multiple drugs, and may not even occur among people who use opioids non-medically or people who have a substance use disorder. Understanding these features of the crisis is essential for developing better responses. New York City police and DEA agents have announced the seizure of 20,000 counterfeit oxycodone pills made with illicit fentanyl. The pills, which have an estimated street value of $600,000, are blue in color and stamped “M” on one side and “30” on the other, making them virtually indistinguishable from prescription oxycodone. The fentanyl pills are believed to have originated in Mexico. Known on the street as “Mexican Oxy,” the highly potent counterfeit pills are often cheaper and easier to obtain than pharmaceutical-grade oxycodone. Black market 30 mg oxycodone pills sell on the street for $9 to $30 each and are surfacing around the country. “If you take prescription pills that did not come directly from a pharmacy, you are risking your life,” said New York City Special Narcotics Prosecutor Bridget Brennan. “Throughout New York City, we have seen a spate of cases involving tens of thousands of potentially lethal fentanyl pills masquerading as oxycodone. Overdose deaths in New York City are at record-high levels and fentanyl is involved in over half of them. Fentanyl is a synthetic opioid 50 to 100 times more potent than morphine. A customer accustomed to taking oxycodone would not necessarily have the tolerance to ingest illicit fentanyl without suffering an overdose. Fentanyl powder is typically produced by illicit labs in China and then smuggled into the U.S. through Mexico. The powder is transformed into tablets by pill presses purchased online and then sold by drug traffickers. Four arrests in New York were made in connection with the latest seizure. Mexican Oxy is also blamed for a rash of overdoses in Arizona, where fentanyl deaths have tripled in recent years. Last month, the U.S. Border Patrol announced its biggest fentanyl seizure ever — over 250 pounds were found in a truckload of cucumbers at a border crossing in Nogales, Arizona. Most of the fentanyl was in powder form and over two pounds were made up of pills. Together, they had the potential to kill millions of people. Most of the fentanyl seized by law enforcement is found hidden inside vehicles at official border crossings around Nogales and San Diego, according to the AP. Smaller shipments of fentanyl are sent directly to the U.S. from China through the mail. The Postal Service’s Inspector General recently reported that over 90 percent of illegal online pharmacies use the mail to ship illicit drugs. The Postal Service is prohibited from opening packages without a search warrant and is obligated to accept inbound international mail. This makes it more difficult for postal inspectors to identify and track packages suspected of containing illicit drugs. By comparison, private carriers are able to open and inspect packages and can track shipments from beginning to end. The Inspector General recommended that Congress pass legislation that would give postal inspectors authorization to open and inspect domestic packages suspected of carrying illicit drugs. Are Most Retired NFL Players Really Addicts? Many of us watched the Super Bowl on Sunday. It was a great defensive game, which means there was a lot of hard-hitting contact. Physical trauma can bring about long-term consequences and that is the subject of a recent New York Times column, "For NFL Retirees, Opioids Bring More Pain" by Ken Belson. Belson suggests that many retired NFL players become addicted to opioid medication. I don’t know how many former players become addicted, but the summation of players he describes as addicted doesn’t quite add up. The column cites a recent study published in the Clinical Journal of Sport Medicine that found about 26 percent of retired football players used opioid medication during the past 30 days. Belson suggests that percentage is excessive. Of course, the players were not addicted just because they used an opioid. Moreover, 26 percent does not seem to be an unreasonable number, given that this is a population with a history of tremendous physical trauma. In fact, it seems like a surprisingly low number given that most former football players experienced enormous physical trauma for years. Whatever the actual data may be, we can probably attribute the use or misuse of opioids to the fact that these retired players were trying to mitigate severe pain. The accepted definition of opioid "misuse" is taking an opioid contrary to how it was prescribed, even if it is taken to treat pain. For example, let's say a person is told they can use one hydrocodone three times a day. If that person uses one pill six times a day so they can function (and not to get high), that is considered misusing. However, that is not a sign of addiction. It only reflects the person's desire to escape pain and the therapeutic inadequacy of the prescribed medication. Misuse of opioids in the general population is relatively rare, according to a large new study published in the journal Pharmacoepidemiology & Drug Safety. Over 31,000 adults were surveyed about their opioid use, and only 4.4% admitted taking a larger dose or a dose more frequently than prescribed. The figure below helps explain the relationships of misuse, abuse and addiction. Some retired football players may misuse their medication, but few will abuse them and even fewer will become addicted. All people with addiction abuse their medication. But people who misuse their medication may not be abusing or addicted to it. In his column, Belson cites a 2011 survey by researchers at the Washington University School of Medicine that found over half of former NFL players used opioids during their playing careers and 71 percent misused them. The same study found that many of these retired players who misused opioids were heavy drinkers. But in his column, Belson reported that "players who abused opioids” were likely to be heavy drinkers. Belson uses the words “misuse” and “abuse” interchangeably, as if they have the same meaning. They do not. If Belson means that retired players took opioids in excess of what their doctors prescribed due to uncontrolled pain, that would not be abuse. It would be misuse. If the players were using opioids to get high, that would be abuse. Belson mentions one retired player using the same amount of pain medicine as a stage 4 cancer patient and suggests that is an excessive amount. However, the player's need for that amount of opioids should not surprise us. Cancer pain is not more painful than non-cancer pain. People with painful diseases and physical injuries may have pain just as debilitating as a patient dying from cancer. It is unfortunate, but not shocking, that a retired football player would have as much pain as someone dying of cancer. When someone who does not have cancer uses excessive medication to relieve pain, we are more likely to label that as "abuse." We show more compassion to patients with cancer pain than we do toward anyone else who requires treatment for chronic pain. Belson writes, "Now, a growing number (of players) are saying the easy access to pills turned them into addicts." That is another statement that gravely concerns me. It is misleading and consistent with the common misunderstanding of what causes addiction or even what addiction is. Becoming dependent on opioids, becoming tolerant to opioids, requiring more opioids over time to achieve the same level of pain relief, and experiencing withdrawal if the opioids are suddenly stopped are not necessarily signs of addiction, any more than they would be if the same consequences resulted from taking a blood pressure medication or a sleep aid. People frequently write and talk about misuse, abuse and addiction, but many of them don't know what the terms mean. This has troubling implications for the pain and addiction communities. Mislabeling and misdiagnosing people with addiction leads to harmful policies that adversely affect treatment. It even has legal implications that prevent people in pain or with addiction from accessing appropriate clinical care. Severe chronic pain and addiction can devastate lives. But we need to know the differences between misuse of, abuse of, and addiction to medications for the appropriate policies to be implemented. One of the more ghoulish and yet beneficial aspects of the overdose crisis is that it has led to a surge in organ transplants. In 2000, only about 1 percent of organ donors were overdose victims. By 2017, when over 70,000 Americans died from drug overdoses, over 13 percent of organ donors were overdose victims. A new study by researchers at Brigham and Women’s Hospital has documented how the number of hearts available for transplant has increased dramatically, particularly in states like Pennsylvania that have been hard hit by the overdose crisis. "In the U.S., the drug crisis is clearly not uniform, and neither is the rate of recovered hearts from drug-intoxication-related deaths," said lead author Mandeep Mehra, MD, the medical director of Brigham's Heart and Vascular Center. Mehra and his colleagues analyzed CDC data on overdose deaths and from the Organ Procurement and Transplantation Network, and reported their findings in The New England Journal of Medicine. They found major increases in drug-related deaths and organ harvesting in Pennsylvania, New York, Ohio and other Northeast states, and in Florida and Texas. Overall, the team estimated that 6.24 hearts were recovered for every 1,000 lives lost due to drug intoxication. Among the 37,232 donors whose hearts were transplanted from 1999 through 2017, the percentage of those who died from overdoses rose from 1.5% to 17.6 percent. And as the number of hearts available for transplant grew, the waiting list for donated hearts began shrinking in 2016. According to the United Network for Organ Sharing, there are currently 45 people in the U.S. waiting for a heart transplant. There has long been a stigma against using donated organs from overdose victims because the organs may be damaged due to reduced oxygen supply and because drug addicts are more likely to be infected with HIV, hepatitis and other communicable diseases. But those risks have been minimized with modern testing. The United Network for Organ Sharing requires organ recipients to be made aware of the circumstances of higher risk donations, so they can decide whether or not to accept it. There are over 113,000 Americans currently waiting for an organ donation, including many who have been on the waiting list for years. 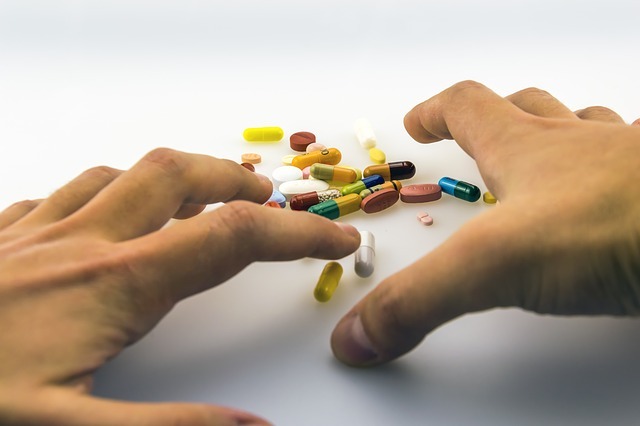 The U.S. Food and Drug Administration has released new guidance to drug makers to streamline the development of buprenorphine products to treat opioid addiction. Commonly known by the brand name Suboxone, buprenorphine has long dominated the market for addiction treatment. Gootlieb said there is still stigma and misunderstanding – even in the medical and addiction fields – about the difference between opioid addiction and dependence. “Because of the biology of the human body, everyone who uses a meaningful dose of opioids for a modest length of time develops a physical dependence. This means that there are withdrawal symptoms after the use stops,” Gottlieb said. “A physical dependence to an opioid drug is very different than being addicted to such a medication. There are currently only three drugs approved by the FDA for medication-assisted treatment (MAT) – buprenorphine, methadone and naltrexone. Physicians wishing to prescribe buprenorphine to patients must have a special certification from the DEA and are limited in the number of patients they can treat. A little over a year ago, the Food and Drug Administration asked Johnson & Johnson and other drug makers to limit the number of anti-diarrhea pills they sell. 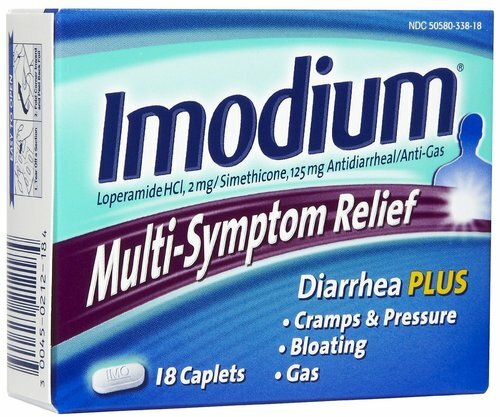 FDA commissioner Scott Gottlieb, MD, said the “unprecedented and novel action” was needed because Imodium and other over-the-counter formulations of loperamide were being abused by opioid addicts. A few of us guffawed at the news as another example of government regulation gone amuck. But it turns out there is cause for concern. Researchers at Rutgers University have documented that overdoses of loperamide have been steadily increasing in number and severity, and have even resulted in some deaths. Their study, published in the journal Clinical Toxicology, found a growing number of people addicted to opioids who are using loperamide to prevent or self-treat withdrawal symptoms. Some are even taking massive doses to get a high similar to heroin, fentanyl or oxycodone. The New Jersey Poison Control Center has reported several fatalities or near-fatalities from loperamide in the past 12 months. “When used appropriately, loperamide is a safe and effective treatment for diarrhea – but when misused in large doses, it is more toxic to the heart than other opioids which are classified under federal policy as controlled dangerous substances,” said senior author Diane Calello, MD, executive director of New Jersey Poison Control at Rutgers New Jersey Medical School. The researchers reviewed toxicology cases in a national poison control center database from 2011 to 2016, and found a 91 percent increase in loperamide overdoses during that time period. In 2015 alone, there were 916 cases and two deaths. Patients who misused loperamide were predominantly young Caucasian men and women. The majority used extremely high doses of loperamide, the equivalent of 50 to 100 two-milligram pills per day. “Possible ways of restricting loperamide misuse include limiting the daily or monthly amount an individual could purchase, requiring retailers to keep personal information about customers, requiring photo identification for purchase and placing medication behind the counter,” Calello said. "Most importantly, consumers need to understand the very real danger of taking this medication in excessive doses." Misuse of loperamide is concerning because it is readily available over-the-counter, undetectable in routine drug tests, and can be bought in large quantities online or in retail stores. In 2017, the FDA added a warning label to loperamide products cautioning consumers not to ingest high doses. Some drug makers are now selling the anti-diarrhea pills in smaller packages and in blister packs that are harder to open. Purdue had hired a consulting firm to help reps target “high-prescribing” doctors, including several in Massachusetts. One physician in a town south of Boston wrote an additional 167 prescriptions for OxyContin after sales representatives increased their visits, according to the latest version of the lawsuit filed in Suffolk County Superior Court in Boston. The lawsuit claims Purdue paid members of the Sackler family more than $4 billion between 2008 and 2016. Eight members of the family who served on the board or as executives as well as several directors and officers with Purdue are named in the lawsuit. 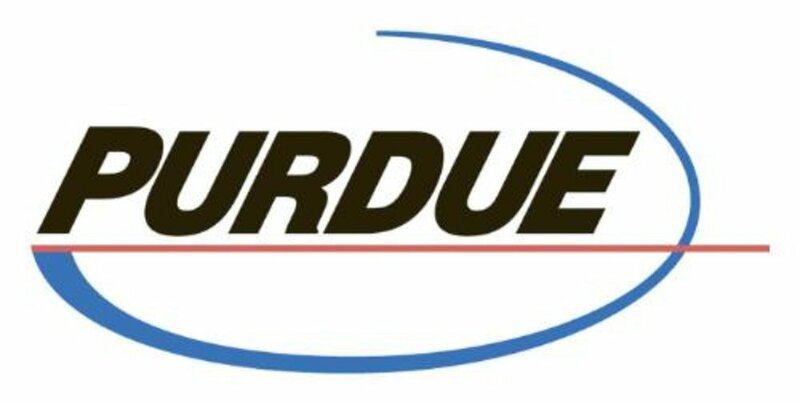 WBUR along with several other media sued Purdue Pharma to force the release of previously redacted information that was filed in the Massachusetts Superior Court case. When a judge ordered the records to be released with few, if any, redactions, Purdue filed two appeals and lost. “Addictive opioids and opioid addiction are ‘naturally linked,'” she allegedly wrote in September 2014. People with chronic disabling pain frequently complain that doctors discharge them from their practice because of the medications they take. Sometimes doctors refuse to accept patients who are taking opioid pain medications, even though the medications treat a legitimate medical condition. There may be hope that such actions will be considered violations of the civil rights of patients. This week the Civil Rights Division of the Department of Justice (DOJ) signed a formal agreement with Selma Medical Associates, a large primary care practice in Virginia, that may open the door for people with chronic pain to regain their full access to medical care. Selma Medical refused to schedule a new patient appointment for a man who was taking the addiction treatment drug Suboxone. He filed a civil rights complaint asserting that his rights were violated because has a disability. The DOJ and Selma Medical settled the complaint out-of-court. The full agreement can be read here. In essence, Selma Medical agreed to stop discriminating on the basis of disability, including opioid use disorder (OUD). The settlement identifies several specific ways that Selma Medical was violating the civil rights of people with disabilities. “By refusing to accept the Complainant for a new family practice appointment solely because he takes Suboxone, Selma Medical discriminated against him by denying him the full and equal enjoyment of the goods, services, facilities, privileges, advantages, or accommodations of Selma Medical. By turning away the Complainant and other prospective patients who are treated with narcotic controlled substances, including Suboxone, Selma Medical imposed eligibility criteria that screen out or tend to screen out individuals with OUD. In the agreement, Selma Medical agreed to stop discriminating now and in the future. The staff and administration are also required to undergo intensive training on the implementation of the Americans With Disabilities Act (ADA). Importantly for pain patients, the agreement applies to people taking “narcotic medications” for any reason and is not limited to people who are taking Suboxone for OUD. The agreement does seem to imply that people taking opioid medications also have their civil rights violated if they are refused medical care on the basis of their diagnosis and their use of opioids. A former staff attorney in the DOJ’s Civil Rights Division agrees. “This formal settlement agreement from DOJ affirms that discrimination in access to medical treatment based solely on an individual’s use of a particular medication — in this case, a narcotic controlled substance — may violate the law,” says Kate Nicholson, a pain patient and civil rights attorney who helped draft federal regulations under the ADA. Anyone who has chronic pain and who is discharged from a practice or refused admission to a medical practice should let the medical staff know that this is a violation of the ADA. Show them the agreement between Selma Medical and the DOJ. Then if the medical practice still refuses care, file a formal complaint with the Office of Civil Rights. Instructions on filing can be found here. As part of the settlement agreement, Selma Medical had to pay $30,000 to the complainant for “the discrimination and the harm he has endured, including, but not limited to, emotional distress and pain and suffering.” Selma Medical also had to pay a civil penalty of $10,000. It seems to me that the substance of this agreement gives real hope to the chronic pain community that discrimination based on disability, even if the disability is based on pain, is illegal and violates their civil rights. 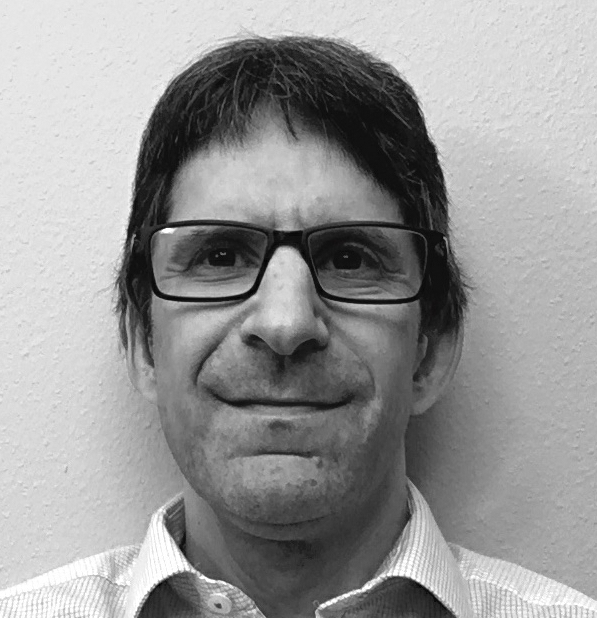 Richard Dobson, MD, worked as a physician in the Rochester, New York area for over 30 years, treating and rehabilitating people suffering from chronic pain, mostly as the result of work or motor vehicle accidents. He is now retired. The U.S. Food and Drug Administration has launched an “unprecedented” effort to support over-the-counter sales of naloxone, an overdose recovery drug credited with saving thousands of lives. The FDA has developed new drug labeling — at taxpayer expense — to encourage drug makers to start selling naloxone without a prescription. “This is the first time the FDA has proactively developed and tested a DFL (drug facts label) for a drug to support development of an OTC product. We proactively designed, tested and validated the key labeling requirements necessary to approve an OTC version of naloxone and make it available to patients,” FDA commissioner Scott Gottlieb, MD, said in a statement. Curiously, one of the labels the FDA developed would support sales of Evzio, a controversial naloxone auto-injector that sells for about $3,700. A recent U.S. Senate report accused Kaleo – the company that makes Evzio – of inflating its price by 600% to “capitalize on the opportunity” of a “well established public health crisis.” The report estimates Medicare and Medicaid paid over $142 million in excess costs to Kaleo for its Evzio injectors. Kaleo has since announced plans for a generic version of Evzio to be available in mid-2019 at a reduced price of $178. The FDA has also developed an OTC label for Narcan, a naloxone nasal spray that sells for about $135. Last month, federal health officials called naloxone an “essential element” of government efforts to reduce deaths from opioid overdoses, and urged doctors to co-prescribe naloxone to pain patients talking relatively modest doses of 50 morphine milligram equivalents (MME) or more per day. The drumbeat for naloxone comes at a time when sales are already booming. According to the healthcare data firm IQVIA, naloxone sales grew from $21 million in 2011 to over $274 million in 2016, and are projected to reach $500 million by 2020. Many of these purchases are made through Medicare or Medicaid, or government funded grants that supply naloxone at no cost to first responders, hospitals and addiction treatment clinics. According to one estimate by the CDC, naloxone reversed over 26,000 opioid overdoses from 1996 to 2014, and advocates say the drug has likely prevented thousands of deaths since then. Earlier this month, naloxone was credited with saving a dozen lives at a suspected fentanyl mass overdose that left one man dead in Chico, California. Is Naloxone Increasing Opioid Abuse? There’s no doubt naloxone saves lives, but some researchers say the drug has had little effect on the opioid epidemic and may in fact be making it worse. In a study recently published by SSRN, an open access online journal, two economics professors said naloxone may raise the risk of an overdose by providing a “safety net” to opioid abusers -- in effect giving them a second chance to abuse more drugs. In an anlaysis of Google search results, they found anecdotal evidence that drug crimes and overdoses increased in states where there was easy access to naloxone. “Expanding naloxone access increases opioid abuse and opioid-related crime, and does not reduce opioid-related mortality. In fact, in some areas, particularly the Midwest, expanding naloxone access has increased opioid-related mortality. Opioid-related mortality also appears to have increased in the South and most of the Northeast as a result of expanding naloxone access,” wrote Jennifer Doleac, PhD, Texas A&M University, and co-author Anita Mukherjee, PhD, University of Wisconsin. Doleac and Mukherjee say naloxone may give drug abusers a false sense of security, encouraging them to seek “a higher high” with more dangerous drugs like illicit fentanyl. The researchers said public health officials should prepare for these unintended consequences by offering addiction treatment along with naloxone. Government-supported efforts to increase naloxone sales are not confined to the federal government. As PNN has reported, a new state law in California requires doctors to “offer” naloxone prescriptions to pain patients deemed at high risk of an opioid overdose. Nothing in the law requires patients to obtain naloxone, yet some pain sufferers say they are being “blackmailed” by pharmacists who refuse to fill their opioid scripts unless naloxone is also purchased. Patients around the country report similar experiences. We all love good storytelling. Cinema can mirror the real world or create a universe of its own. Movies can transport us to another world, beyond ordinary consciousness and emotions. They can be an agent for positive cultural change, or they can spread false narratives that are largely adopted by society. They can help solve our problems, or they can exacerbate them. Two films that were released this past year -- "Ben Is Back" and "Beautiful Boy" -- are examples of movies that tell heart-wrenching stories, but fail to provide solutions. Instead, they reinforce unhelpful narratives that we glean from the news media and politicians. Both are mainstream films with wide distribution and built-in audiences due to their talented casts and subject matter. They both tackle a theme that often works well for Hollywood: a child in life-threatening danger. Each of these films focuses on the drama of a troubled young person who struggles with addiction. In both cases, the addiction creates a tragedy that feeds a romantic thread. As a frequent film goer, I appreciate both movies' artistic delivery. However, their messages don’t necessarily reflect the realities of addiction in America. The movies perpetuate stereotypes and demonstrate that the color (pun intended) of addiction matters. Through both of these films, Hollywood provides viewers with romantic views of addiction that are played out as love stories between parents and their children. "Ben is Back" stars Julie Roberts as the loving but frightened mother and Lucas Hedges (Ben) as a young man in an upper middle-class white family. Ben is polite and likeable. His only apparent flaws are the behaviors associated with his addiction to opioids. The audience is primed to wonder how this could happen to an All-American boy. This young man and his family surely couldn't be responsible for the problem. The film poignantly blames a senile physician for initiating the boy’s addiction years earlier by prescribing Ben an opioid following a painful injury. The doctor is portrayed as the villain who pushes Ben toward a path of destruction. This works because the characters in "Ben Is Back" are of the same demographic and ethnicity as most of the viewers who would watch the movie. The film reinforces the clichés the audience has come to believe about addiction and its etiology. History tells us that poor inner-city minority members, by contrast, are usually blamed for their addictions. If the film starred a black or brown young man, the plot would have likely focused on the criminal activity and character flaws of the drug abuser. Julia Roberts told USA Today that she was able to relate to the problem of watching a family member suffer from addiction because, in real life, her older brother had suffered from the disease. However, Roberts acknowledges, "The position of the mother in this film is very different from a sister," reinforcing the parent/child love theme. The other film, "Beautiful Boy," is based on a true story. In contrast to "Ben Is Back," the movie is about a relationship between a father and his son. Steve Carell and Timothée Chalamet (Nic) play the father and son. As Rolling Stone says, "It’s the two leads who, thanks to their astonishing, ripped-from-the-guts performances, make this movie a standout." Nic has a great relationship with his father. The father introduces his son to marijuana, which the movie inaccurately suggests is the seed to Nic's eventual use of methamphetamine. The story is told from the father's point of view. The father blames himself because he buys into the myth that marijuana is a gateway drug. Unfortunately, many movie goers probably also inaccurately believe that using marijuana could lead to meth addiction. Meth is not an opioid. However, the story line is similar to that of "Ben Is Back." Nic is a good white kid from a loving home, but he, too, is caught in a web of addiction. While Nic's story is emotionally riveting, we know that he lives a privileged life. Like Ben, Nic is a sympathetic character. These two movies blame outside causes for addiction. The movies fail to explore the real motivators to using drugs. Both characters acknowledge, in a discreet and almost offhand way, that they use drugs to feel alive. This subtlety is a huge statement. It describes the reason for their drug use that most viewers probably miss. Why should these two movies matter so much to us? These films may be entertaining, but they fail to tell the true story of addiction. Addiction is not sentimental. It is a tragedy, regardless of color. There are no tidy endings in real life. Propagating misleading narratives about addiction has made it more difficult for people in pain to be treated. If Hollywood producers are going to make films about addiction that don’t feed false narratives, they will have to stop romanticizing addiction. Lynn R. Webster, MD, is a vice president of scientific affairs for PRA Health Sciences and consults with the pharmaceutical industry. He is a former president of the American Academy of Pain Medicine. Webster is the author of “The Painful Truth: What Chronic Pain Is Really Like and Why It Matters to Each of Us.” You can find him on Twitter: @LynnRWebsterMD. For me, it started with borrowing a couple hydrocodone pills from my uncle, who’d just had surgery and didn’t finish his prescription. Technically illegal? Yes. Illegal illegal? Not really. That’s what I told myself. I run out of pain pills early every month — because they are prescribed to take one every six hours and only last about three. So I was happy to have a few more to get through those last few days before my refill. I always need more though, because the pain is always there. So I started to swap pills with my cousin, who also has chronic pain. “Here, take 10 of mine today,” I’d offer. I know she would never consider those drug deals. She would never consider herself a dealer. She goes to church for goodness sake. Eventually, I started to pay a little cash for 5mg pills from a friend of a friend, because it seems only fair to give him something in return. I guess that’s about as “drug deal” as drug deals get. Here is money for you in exchange for drugs for me. There’s no way to really argue that. But it still didn’t feel like a drug deal. He’s doing me a favor, so I’m doing him a favor. We’re working professionals. We’re not meeting in a dark alley. Nobody has a gun on them. We’re just helping each other. Then I started buying marijuana to see if it would help with the pain. I felt like marijuana was easier to get than my monthly pain pill prescription. And as long as I had the money, I could get as much as I wanted. I bought it from an old high school friend, who has a quiet house in the country and always invites me over for dinner. It felt more like buying homemade jewelry than buying homemade drugs. And she’d send me home with marijuana edibles that didn’t seem all that different than any other muffins my friends would bake for me. Recreational marijuana isn’t legal where I live, but it is in a lot of other places, so it’s still easy to justify this one to myself. My state is just a little behind. We’ll catch up. And soon buying an eighth won’t be much different than buying a pack of cigarettes. The marijuana doesn’t help me much other than putting me to sleep, so I hardly ever buy it. But if it did work — if it helped anywhere close to the way hydrocodone does — I would become a regular customer. Since I didn’t like it or use that much, I ended up selling some leftover marijuana to a friend’s uncle. That’s about when I officially became a dealer myself, I suppose. And now, I’m regularly buying extra hydrocodone from the local drug dealer. I meet up with him in the alley behind his apartment. He does not make drug dealing look glamorous. He never has enough money for his phone bill, he always needs a ride, and I’m pretty sure he uses the money I give him to buy heroin. I tell myself that most people would do what I was doing if they were enduring the kind of daily, debilitating chronic pain that I have. It’s either this or suicide. I try to get my doctor to increase my prescription and hold my breath every time they drug test me. So far, I’ve always passed. And so far, my prescription has yet to last me until the end of the month. All these illegal drugs get expensive. $10 for one 10mg hydrocodone. You can whip through $300 a week easily. Hydrocodone is more expensive than heroin and even harder to get. Sometimes I wonder if I should just take the leap and buy $20 worth of heroin, which would be more potent than $400 worth of hydrocodone pills. I know where I can get it now, thanks to my new connections to the local dealer. But so far, I’ve resisted. Not worth the possible side effects. Not worth the hassle. And not worth the potential legal issues. If I buy hydrocodone, I can slip them into one of my pill bottles with a legitimate label and the cops would have a hard time proving they weren’t mine. Heroin is a little more difficult to hide. I know some heroin users and they aren’t like the ones in the movies. They aren’t shooting up in dark alleys. They’re doing it in the morning to combat chronic pain. They’re doing it so they can go to work. They’re doing it because their legitimate doctor cut them off. They’re doing it so they can live their lives. And that’s what I'm doing, too. I bought 10 hydrocodone this morning, because I needed something to get me through the work day. Without opioid pain medication, I wouldn’t even be able to check my emails. I don’t know what the solution is, but I do know that when you’re in pain, you’ll do anything to make it stop. And as long as the only way to make it stop comes down to buying illegal drugs or killing myself, I’ll keep choosing illegal drugs — and pray that it doesn’t lead to me accidentally killing myself. Pain patients taking relatively modest doses of opioid medication should be co-prescribed naloxone, according to a recommendation released this week by the U.S. Department of Health and Human Services. Naloxone is an overdose recovery drug administered by injection or nasal spray that rapidly reverses the effects of an opioid overdose. It has been credited with saving thousands of lives, although recently there has been controversy over a company exploiting demand for the drug by raising the cost of its naloxone injector over 600 percent. “Given the scope of the opioid crisis, it’s critically important that healthcare providers and patients discuss the risks of opioids and how naloxone should be used in the event of an overdose,” said Adm. Brett Giroir, MD, assistant secretary for health and senior advisor for opioid policy at HHS. The HHS guidance was issued days after an FDA advisory committee voted 12 to 11 in favor of adding language to opioid warning labels recommending that naloxone be co-prescribed. Some panel members objected to the labeling because of the additional cost involved and because it does not address deaths caused by illicit opioids, which account for the vast majority of opioid overdoses. 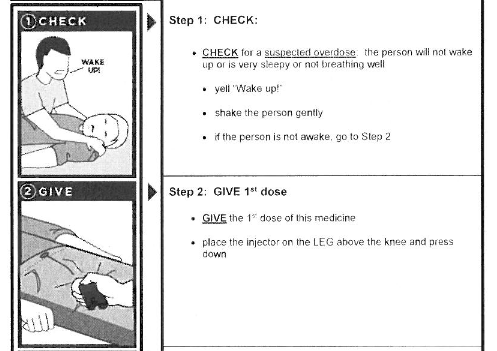 The guidance notes that most health insurance plans, including Medicare and Medicaid, will cover at least one form of naloxone. For patients without insurance, the guidance suggests contacting a state or local program that may supply naloxone for free or at low cost. Naloxone costs only pennies to make and syringes containing generic versions of the drug typically cost about $15 each. But formulated and branded versions that have a more sophisticated delivery system are much pricier. According to Health Care Bluebook, a package of two nasal sprays of naloxone sold under the brand name Narcan will cost about $135. Evzio, a kit that contains two auto-injectors of naloxone, retails for about $3,700. A recent U.S. Senate report found that Kaleo, a privately-owned drug maker, jacked up the price of Evzio by over 600% to “capitalize on the opportunity” of a “well established public health crisis.” As a result, the report estimates the U.S. government paid over $142 million in excess costs to Kaleo for prescriptions covered by Medicare. The new HHS guidance mirrors that of the 2016 CDC opioid guideline, which encourages physicians to consider prescribing naloxone to pain patients on “higher opioid dosages” of 50 MME or more. “I’m personally against it, because I don’t think most patients who require opioids for pain management are at risk of overdose,” said Andrea Anderson, Executive Director, Alliance for the Treatment of Intractable Pain (ATIP). “I also don’t think naloxone helps unless you’re with other people, which makes more sense for those who are using illicit opioids rather than those who rely on opioids for routine pain relief. The Centers for Disease Control and Prevention released another report today documenting the changing nature of the overdose crisis and the decreased role that prescription opioids have in drug deaths. About 70% of fatal overdoses in 2016 involved either illicit fentanyl or heroin. CDC researchers used “literal text analysis” to study death certificates from 2011 to 2016, looking for drugs listed as the cause of death, significant conditions contributing to that death, and a description of how the death occurred. Alcohol, nicotine and other non-drug substances were not included in the analysis. Researchers found that the opioid painkiller oxycodone was the most frequently mentioned drug involved in 2011 overdoses, but by 2016 oxycodone had fallen to 6th place, behind fentanyl, heroin, cocaine, methamphetamine and the anti-anxiety drug alprazolam (Xanax). CDC researchers noted that many overdose deaths involve multiple drugs. “We’ve had a tendency to think of these drugs in isolation. It’s not really what’s happening,” lead author Holly Hedegaard, PhD, told the Huffington Post. For example, fentanyl and cocaine were mentioned in nearly 4,600 deaths, while oxycodone and alprazolam were mentioned in more than 1,500 deaths. The CDC has already released a preliminary estimate on overdoses for 2017 using a different form of analysis. But the results are largely the same. Over 70,200 people died of a drug overdose in 2017 – the highest number on record. Deaths involving fentanyl and other synthetic, mostly black market opioids surged 45 percent, while deaths involving natural or semisynthetic opioids, mostly painkillers such as oxycodone and hydrocodone, remained flat. The number of opioid prescriptions in the United States has been falling since 2011, but opioid medication remains a favorite target for regulators. The DEA has proposed another round of cuts in the supply of opioid pain medication – a 10% reduction in manufacturing quotas in 2019 for oxycodone, hydrocodone, morphine and three other opioids. Some of the medications are already in short supply, forcing hospitals to use other pain relievers to treat surgery and trauma patients. The Trump Administration says opioid pain relievers are “frequently misused” and that reducing their supply will help prevent addiction, abuse and overdoses. There is little or no evidence that is true. The CDC last week released its latest report on drug overdoses in 2017. The death toll was the highest recorded, with over 70,000 Americans dying from drug poisoning. Deaths involving illicit fentanyl and other black market synthetic opioids surged 45 percent, while deaths involving opioid pain medication remained unchanged. Instead, the crisis is evolving. The available data for 2018 supports this. There have been over 1,500 overdoses in Massachusetts so far this year and the details of those deaths are sobering. Fentanyl was present in 90 percent of toxicology reports during the second quarter of 2018, a three-fold increase since 2014. 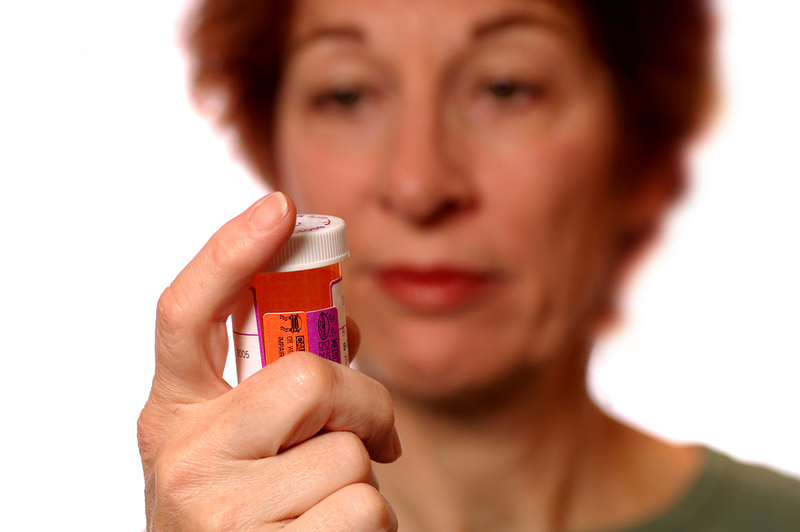 Prescription drugs of any form were found in only 17 percent of reports. Public health data from Connecticut is similar. Illicit opioids were found in nearly 80 percent of the 867 people who died of an unintentional opioid overdose in 2016. Current data is also showing that drugs like methamphetamine are having a significant impact on overdose rates. Kaiser Health News reports that amphetamine related hospitalizations – mostly involving meth – are surging and that more than 10,000 people died of meth-related drug overdoses last year. The opioid overdose crisis is no longer primarily about prescription opioids used medically, or even exclusively about opioids. And studies of long-term opioid therapy are not showing increasing rates of overdose. Medscape reported on a recent study that found cancer patients had a much lower risk of dying from an opioid overdose than the general population. The study looked at opioid deaths from 2006 through 2016, a period that saw rapidly rising overdose rates. Opioid death rates jumped from 5.33 to 8.97 per 100,000 people in the general population during that period, but among cancer patients, opioid deaths rose from 0.52 to 0.66 per 100,000. “What our study uniquely shows is that, using this large nationwide database, that deaths in a hospital setting related to opioid toxicity or overdose almost never happen among those with sickle cell disease," Oladimeji Akinola Akinboro, MBBS, of Boston University School of Medicine told Medpage. "This suggests that current patterns of opioid use in this population is safe, assuming we continue the same risk-mitigation strategies." In other words, long-term pain management in disorders like cancer and sickle cell disease is not associated with increased rates of fatal overdose. Both of these studies have important limitations, in particular the possibility that some overdose deaths went uncounted. But the low rates of overdose in these groups suggests that with careful patient screening and monitoring, opioids can be used safely. More can and should be done. Opioids are being prescribed more cautiously to children and teens. This is important, in light of a new JAMA study on wisdom tooth extraction, which found that over 5% of young people who had their wisdom teeth removed and received opioids for pain control went on to receive an opioid abuse-related diagnosis. The overdose crisis is fast evolving into a poly-drug substance use problem. Addiction expert Michael Botticelli, the former director of National Drug Control Policy, told WBUR that a better understanding is needed of why people use drugs, not just which drugs they use. The book “American Overdose: The Opioid Tragedy in Three Acts” by Chris McGreal takes a hard look at the opioid crisis. The book focuses on the legal and political side of the crisis, along with a history of Purdue Pharma and OxyContin, and a detailed description of pill mills and rogue pharmacies in Appalachia. “It is a tragedy forged by the capture of medical policy by corporations and the failure of institutions in their duty to protect Americans,” is how McGreal describes the genesis and evolution of the crisis. The book highlights the massive collusion and corruption in communities in West Virginia and Kentucky, leading to the Williamson Wellness Center and other pill mills that were protected by law enforcement, ignored by state and federal regulators, and encouraged or exploited by drug manufacturers and distributors. However, McGreal does not depict Purdue as a lone bad actor. Instead, federal and state dysfunction and disinterest contributed to the crisis. “The FDA wasn’t the only one to drop the ball. A clutch of federal agencies with long names have responsibility for combating drug addiction and overdose,” he wrote. And they all failed. The problem soon extended far beyond Appalachia. Among the earliest and biggest pill mills was American Pain, set up in 2007 near Fort Lauderdale, Florida by twin brothers Chris and Jeff George – neither of whom had medical training. Rudy Giuliani, Eric Holder, and James Comey all helped Purdue, according to McGreal, by delaying investigations of the company as addiction and overdose rates rose rapidly in the 2000’s. The CDC’s involvement is described as delayed and dysfunctional. "Until 1998 the United States used a classification system lumping heroin, morphine, and prescription opiate deaths together," McGreal points out. Even when CDC researcher Len Paulozzi documented rising trends in overdose deaths, no one paid serious attention until Thomas Frieden, MD, became director. Even then, serious flaws remain in how the CDC reports on overdose deaths. “FDA officials don’t like Kolodny. They characterize him as unreasonable and difficult. One described him as a ‘complex character’,” McGreal writes. McGreal summarizes his ideas with an indictment of American culture. "In large parts of the United States, opioids were popular because they were a fix. A fix for emotional pain. A fix for failing bodies. A fix for struggling to make it in a society that promises so much, and judges by what is achieved, but turns it back on so many of those who fail to live up to that promise," he writes. If “American Overdose” offers lessons, it is that the opioid crisis is a result not only corporate greed but also American culture; in particular politicians, regulators and a broader medical industry with agendas contrary to the public good. The book is an origin tale of the opioid crisis that offers little hope for the future.